Hoi An has actually been declared a World Heritage Site by UNESCO in the center of Vietnam. In fact, this Old Town draws a number of domestic and international tourists worldwide for many reasons, such as ancient architectures, friendly people, local lifestyle, a heaven for shopping, etc. 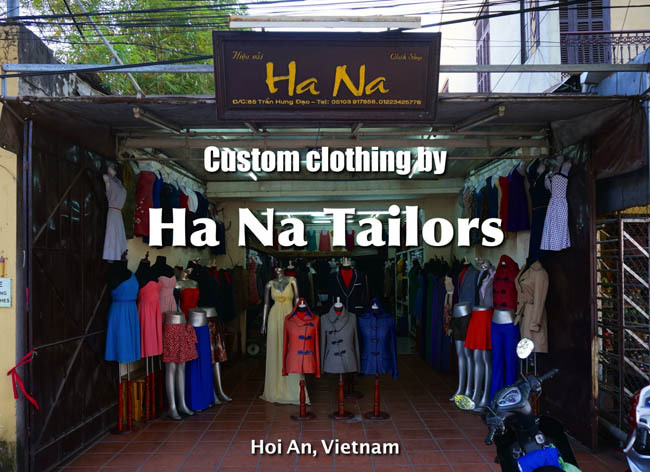 But, Hoi An’s UNESCO status has also earned a reputation for the tailoring industry that has perfectly been preserved for years as well as still continues to thrive today. For many visitors, having custom-made suits, dresses, shirts, and shoes at the affordable price is a meaningful experience. 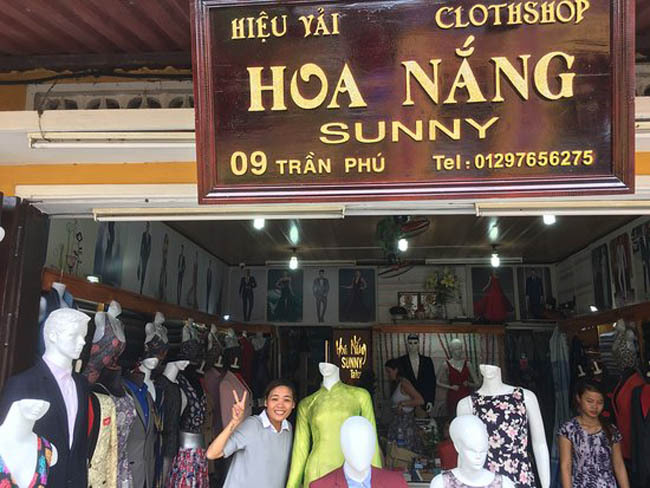 If you are wondering where to buy some types of fabric as memorable keepsakes for yourself or lovely gifts for your beloved, then spend time reading our guide on the top 5 fabric shops in Hoi An you should not skip below! 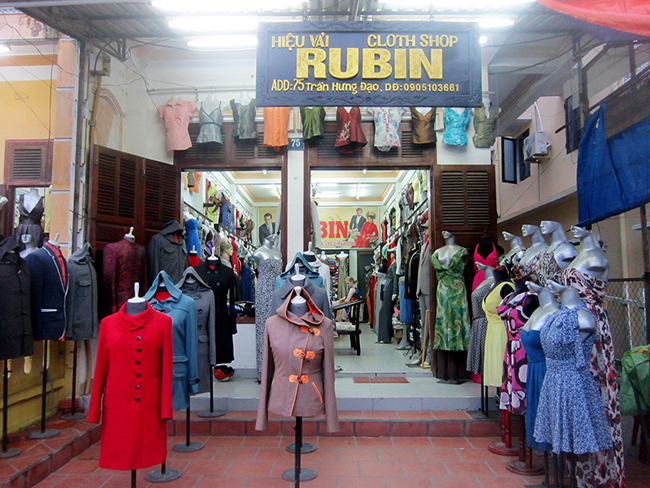 Rubin cloth shop is a trustworthy address for many shopping hunters. 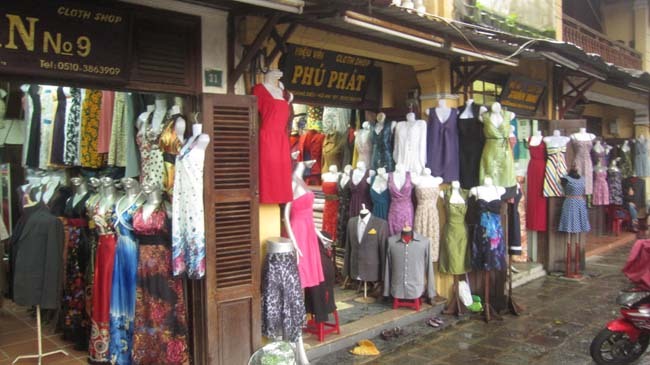 Along with having custom-made clothes, you are able to buy fabric under the enthusiastic instructions of English and Vietnamese staffs here. They are always willing to let you know exactly what these fabrics are, where they come from as well as offer you a totally fair price. Thanks to the careful fabric selection, guests will surely receive the best fabric sources from all over the globe. Right now, you should widely open your eyes to a massive range of choice. It is unlimited, from linens, to cottons, to pure Italian fabrics and fantastic blended wools. Sunny Cloth Shop leaves you a strong impression by a team of ladies working there who are very friendly and helpful. Thanks to a great customer service, high-quality products, and excellent English language, your satisfaction will reach the top-notch position, regardless of whether you have a dress tailored or buy cloth. Since they make a design and do the tailoring process, based on photos in magazine or your ideas, it is better to bring these with you. 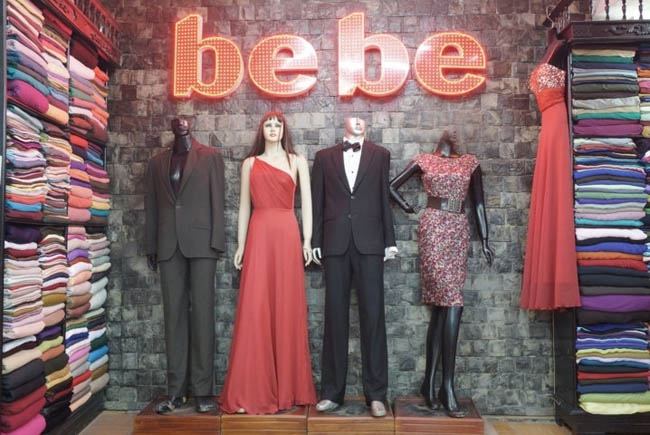 Be Be Cloth Shop prides itself on the high quality, beautiful design, skillful tailors, and wonderful service that will help you feel pleased with what you chose. It is believed that all clothes here are made with thorough attention to every detail, excellent craftsmanship, and the finest materials. Their slogan is “making sure the perfect fit for everyone.” Furthermore, you are also allowed to buy any kind of terrific textiles and fabrics at reasonable prices. Guests are always carefully taken care of by a team of wonderful staffs. Just ask, and they will answer all of your wonders. When dressed, men look like elegant while women feel like princesses. This tailor shop is often frequented by both foreigners and locals. The reason is that they successfully find the styles they like here. Staffs who are good at English always welcome visitors to have custom-made clothes or buy fabrics. They usually care about every piece of clothing they’re selling, along with focusing on their customers’ satisfaction. You will be introduced some design recommendations and samples of cloth before buying. Of course, it is possible to negotiate for a price with the fabric of your liking if necessary. Don’t worry! If they feel it is fine, they will approve your negotiation.